Televisions have evolved over time, now they are complete infotainment systems capable of handling various types of inputs, playing great number of file formats and even provide facilities like web-browsing. However, there is a different type of consumers who were keeping a close eye on the development of these electronic marvels. In 2015, the input lag of television sets reduced significantly which enabled users to use these large 40 inch screens as a video output device for their PC’s and Gaming consoles. The significant reduction in the input lag made these TV’s perfect for console gamers. Lag is significant when talking about high end console gaming. With input lags under 50 ms, these screens are a great output device for gamers. Gamers do not care much about the picture quality but a slight lag has a huge impact on their gaming performance. So, for gaming the transmission lag is the main selection criterion. Most gamers sit at a distance of 10 feet from their screen; at this distance a 40 inch screen is perfect for gaming. It gives a very large display for the gamer while providing a very significant viewing angle. Replacing the conventional monitors with high end televisions solve multiple issues at once. It makes the output screen multipurpose, you can use it as TV, PC output, console output, etc. This saves a lot of space in the room. The high response rate of these large devices provides a great view with no transmission lag. 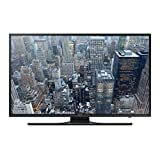 The 40 inch TV is perfect for gaming; most TV’s today offer better contrast and picture quality than most of the displays available in market. The likes of Samsung, Sony have launched 4k displays which give a much better picture quality than monitors. Here are top three 40 inch television sets which offer minimum lag for high performance gaming. If you are a gamer, do not look for any other feature to rate the TV’s. The first feature and the only significant factor to consider a TV for gaming is the response rate. The TV offers a never before input latency of 28 milliseconds. The competitors are light years away from this latency. The TV offers the best gaming experience. The TV has an Ultra HD 4k display to ensure a never before picture quality. The ultra HD display offers a great contrast and vivid colors. The TV looks great with or without the stand. Although the stand makes it a marvel to watch even when it is turned off, the wall mounted unit looks equally great. The thin outer body gives the display a great look. The TV has average sound quality, poor when talking in sense of gaming needs. You will need external speaker systems to get the real gaming experience. The input lag of TV is around 122 milliseconds, but when it is switched to gaming mode it reduces significantly to 28 milliseconds. It is the best feature for a gamer. • The TV has a lag of 28 milliseconds making it a perfect companion for gaming consoles. • The TV looks great even when it is turned off. The thin borders make it a great center piece for your room. • The sound output is really poor. 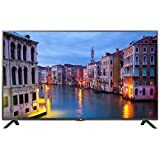 If you are looking to buy this TV for gaming, make sure you buy a speaker systems along with the TV. • The TV offers only two HDMI ports, most of the systems offer HDMI output for high quality video output. It limits you to either use two HDMI devices or switch the cables manually. 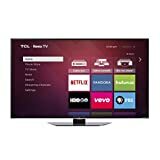 It is one of the most impressive televisions from TCL. The TV set offers an input lag of 30.6 milliseconds making it a great choice for use as a gaming monitor. The TV has a HD 1080p display with a great picture quality. The display offers a great refresh rate of 120 Hz. The stunning metal edge design of the brand gives the TV a very unique look. Most users like the TV even when it is not turned on. The TV is very sleek that gives it a great look. Like most of the slim LED TV sets, this set also lacks in audio quality. The user will need to install external audio system for great sound experience. The input lag of TV is around 120 milliseconds, but when it is switched to gaming mode it reduces significantly to 30.6 milliseconds. It is the best feature for a gamer. • The TV has a lag of 30.6 milliseconds which is great for gamers. • The TV is enabled with ROKU TV, this feature opens limitless options of entertainment for you. • Poor Sound quality when considering the requirements of gamers. • The TV has all the ports at the back but the sleek design makes it hard to plug in new devices when the TV is wall mounted. LG has made a marvel in LB5600, they have significantly reduced the input lag and have finally presented a TV which is fit for use with gaming consoles. The TV has a high contrast 1080p full HD display for a very vivid and clear picture. The TV has a native refresh rate of 60Hz but the effective refresh rate is 120Hz. The stylish LG stand gives the TV a very unique look. The TV looks very modern and well designed. The TV has good quality built in speakers but they are light years away from the expectations of gamers. It is recommended that the gamers get a high quality sound system. The TV is very energy efficient; it has an energy star certification. It is a great display device. • The TV broke all the previous records of LG with a input lag of just 27 ms.
• It is the most affordable television in the market which suits for gaming needs. • It is not a smart TV, it is a high-end simple TV optimized for gaming. • There are only two HDMI ports in the TV.